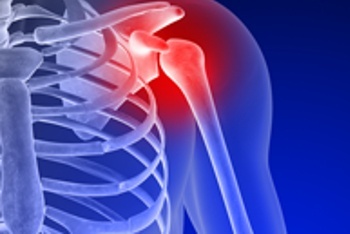 Injuries Archives - Dr. Jeff Stickney, M.D. When it comes to stem cell therapy, it’s wise to be a bit wary. While stem cells can have enormous implications for treatment of injury and disease, many facilities offering stem cell injections are simply looking to capitalize on the buzz surrounding this therapy. If you’re considering stem cell injections, it’s essential that you learn everything you can about stem cell practices so you can identify the healing potential and possible scams. This type of therapy involves repurposing self-renewing stem cells found naturally in your body by injecting them into damaged tissue. When you experience an injury, the body’s healing reaction sends undeveloped cells through the bloodstream to the injured area. When they arrive, they develop into repair cells as a response to their surroundings. The goal of stem cell injections is to expedite treatment of injury or disease by harnessing this natural capacity your body has for healing itself. The procedure begins with stem cell harvesting, where a doctor extracts cells from points within the body, like fat or bone marrow. Alternatively, cells from a donor like blood from an umbilical cord, could be used, but they must be treated first to prevent negative reactions in the patient. The doctor then proceeds to inject this collection of cells, including rare stem cells, to the site of injury. In theory, this enhances the rate at which the body can heal after injury. With further research and more advances in the field, stem cells will eventually be extracted from your body and separated in a lab to identify cells with specific capacity. For example, when healing an arthritic joint, stem cells for joint cartilage healing will be cultured to increase their numbers, then injected back into your joint in a quantity sufficient to repair it. While this is the ultimate goal, years of clinical research and trials are required first. In fact, the FDA does not currently allow cell removal from your body, processing them in any significant way, and then putting them back into your body, unless the practice is conducted as part of an approved clinical trial. Many stem cell therapy offerings charge anywhere between $5000 to $10000 to simply take cells from your bone marrow or fat, spin them in a centrifuge to concentrate the cells, and inject them back into the area of injury. This process makes no attempt to identify the number or quality of stem cells harvested. There are no controlled studies proving this process is effective thus far. As with any treatment, each patient reacts differently. The current literature surrounding stem cell injections states that the treatment is limited by the quantity and quality of stem cells initially harvested. Patients carry varying levels of stem cells, which may result in ineffective transfusions. Another limitation is physical blockages, such as blocked arteries, that inhibit the body’s ability to transport cells throughout the injured area. Even when the outcome of stem cell therapy is recovery, establishing a cause-and-effect relationship is difficult because of multiple distinct processes taking place during treatment, and the high potential for placebo effects and natural healing. Some patients improve drastically while others show no substantial alterations. The efficacy of stem cell injections is a point of contention amongst medical professionals, and because we are still in the experimental stage there’s still a lot we don’t know. FDA regulations for stem cell therapy are subject to change. Be cautious of stem cell treatments offered without regulatory approval or that have not been tested in a registered clinical trial. When it comes to proven treatments, Dr. Stickney, a Kirkland orthopedic surgeon, is an expert in exercise and health, joint replacement surgery, sports medicine and more. Contact Dr. Stickney and return to your healthy, pain-free lifestyle! With winter comes the holidays, ski vacations, and long-awaited snow days. However, the ice and inclement weather can also lead to an increase in slips, falls, and injuries that may need treatment by an orthopedic surgeon. To make sure you can get the most out of the season, follow these tips from Dr. Alan S. Hilibrand to stay pain-free while hitting the slopes and spending time with family. According to the Consumer Product Safety Commission, in 2015, nearly 566,000 Americans received a ladder-related injury and 69,000 went to the doctor or emergency room due to injuries incurred in holiday decorating. Whether you’re removing your holiday decorations or taking care of housework, prevent injury by selecting the right ladder — step stools and utility ladders for low and medium heights, extension ladders for outdoors — and never exceeding the ladder’s maximum load capacity. Make sure it doesn’t have any damage, is clean, and is set on a firm, level surface. Unfortunately, travel and stress can often be synonymous, and in our hurry to get to our destination or avoid lines, we might strain our backs lifting heavy luggage. In 2015, according to the CPSC, over 84,500 Americans sought medical attention for injuries incurred while lifting or moving luggage — minimize your risk by packing light, being conscientious when carrying a heavy suitcase, and always lifting by bending at your knees and using your legs, rather than your back or waist. In 2015, almost 150,000 people sought medical treatment for injuries from skiing and snowboarding. Make sure you’re not sitting the season out by stretching and warming up before tackling fresh powder, and always wear the correct protective gear to keep your joints safe. Know the rules of the sport you’re participating in, and allow your body time to rest in between runs. 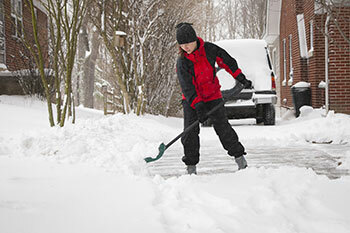 Over 165,000 people visited the doctor or emergency room due to injuries from shoveling snow or using a snow blower in 2015. Whatever your preferred method of tackling snow, check with your physician ahead of time to make sure you don’t have any heart or vascular conditions that could be aggravated. Warm up with light exercise 10 minutes prior to going outside, wear correct footwear, and in the case of falling, try to land on your side or buttocks to minimize injury. Keep an eye out for black ice and other hazardous conditions, and to make sure you, other drivers, and pedestrians stay safe, err on the side of caution. Keep distance between cars, and give yourself plenty of time to brake before stop signs and red lights. If you feel uncomfortable, reduce your speed. Suffering from a winter-related accident? Dealing with joint pain that impacts your ability to make the most of the season? 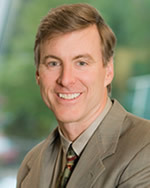 Contact Dr. Stickney, a Kirkland orthopedic surgeon specializing in procedures such as total knee replacement and shoulder surgery. As summer arrives, it is inevitable that we come out of our winter hibernation and become more active. Regrettably though, with more activity comes the increased chance of orthopedic injuries. In hospitals the summer season is also known as “trauma season” because adult injuries spike by 25-30%. Although not all of these injuries are orthopedic, the vast majority of these injuries fall into this category. The most common types of summer orthopedic injuries come from: biking accidents, lawn mower mishaps, ladder incidents, swimming injuries, ATV calamities, trampoline trauma, and funky falls. 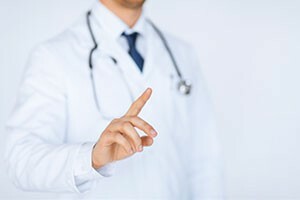 Luckily, AAOS has created a vast amount of resource information for orthopedic surgeons to provide to their patients, including public service announcements and safe walking and driving advice. This summer season, the AAOS decided to focus their public service announcements on ladder and bike safety. These injury-prevention efforts were taken so seriously that a ladder safety ad was created in conjunction with the American Orthopaedic Foot and Ankle Society, whereas the bike ad was created with the help of the Orthopaedic Trauma Association. In addition to these two ads, the AAOS also created postcards, posters, and downloadable images for some of their 2015 PSAs relating to swimming and motorcycle accidents. To access these additional PSAs visit OrthoInfo.org/divingsafety and OrthoInfo.org/cyclesafety. Make sure they have the balance and strength to use a ladder. Take the time to secure it properly. Not to stand above the marked level. Always wear lace-up shoes or boots. Bike safety is something that every parent tries to instill in their child, but sometimes the lessons don’t take hold. To pack a punch, the bike safety PTA depicts a bicycle made out of bones. The graphic points out just how fragile bike riders are in comparison to cars. The goal of the ad is to show how vulnerable to injury bikers can be. To highlight this fact the ad says: “So, even when a rider does something boneheaded, remember – your broken headlight is easier to fix than their broken bones. Take the high road and give bicyclist the space they need to ride safely.” The tips provided in the PTA are great tools for parents to use when teaching their kids about bike safety AND for the average adult biker and driver! For more information on bike safety, visit OrthoInfo.org/BikeSafety. This summer, the AAOS saw fit to emphasize walking and driving safety. In 2009, AAOS launched the “Decide to Drive” campaign, which educates people about the danger of distracted driving. Decidetodrive.org gives all the statistics, videos, downloads, contests, and ideas for social media posts related to distracted driving that anybody could ever need. All of the tips provided on the page are extremely useful when providing patients with information on the orthopedic injuries that can occur as a result of distracted driving. So, be a responsible driver and check out all the tips “Decide to Drive” can offer you. OrthoInfo.org/DistractedPedestrians. Who knows, you could be the “Digital Deadwalker” everybody is trying to avoid. If you are interested in accessing the PSAs in this article, visit aaos.org/PSA. Hilibrand, Alan S. “Preventing Common Summer Injuries.” AAOS. AAOS, May 2016. Toland, Bill. “Summertime Is ‘trauma Season’ for Hospital ERs.” Pittsburgh Post-Gazette. Pittsburgh Post-Gazette, May 2014. Web. Invasive surgery and long recovery times for orthopedic surgery are becoming a thing of the past. After years of extensive surgeries and painful recovery times, surgeons are now looking towards new nonsurgical management of orthopedic issues. The current nonsurgical treatment that everybody is talking about is platelet-rich plasma, or PRP. PRP is an autologous derivative of blood, which singles out high concentrations of platelets and is loaded with many growth factors and cytokines. While it is clear from the buzz that PRP can be useful for orthopedics, there is some debate as to the best use of PRP in the orthopedic world. PRP has been used to treat osteoarthritis, to repair fractures, and in ACL reconstruction. By first examining what PRP is made of, we can then examine how effective it is in treating these orthopedic issues. First let’s look at what PRP is made of. 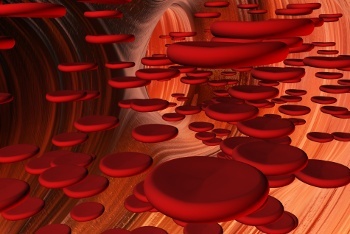 The most significant growth factors and cytokines in PRP are: platelet-derived growth factor (PDGF), transforming growth factor beta (TGF- B), fibroblast growth factor (FGF), insulin-like growth factor 1 (IGF-1), connective tissue growth factor (CTGF), epidermal growth factor (EGF), and vascular endothelial growth factor (VEGF). If you are not a doctor these things may sound like gibberish to you. So, to put things more simply, these growth factors and cytokines are essential for hemostasis, construction of new connective tissue, revascularization, cellular recruitment, and inflammation reduction after an injury. Other components of PRP include fibrin, fibronectin, vitronectin, and thrombospondin; all of which are extremely important to the healing process. In addition, the optimal platelet concentration used in the PRP formula is between 3 and 5 times that of normal blood. Any more than that can have the opposite effect and slow the healing process. Now that we know the basic components of a PRP treatment we can focus on the purpose of this new technology as it relates to orthopedics. According to the AAOS “the proposed function of PRP is to promote tissue healing by increasing extracellular matrix deposition, reducing pro-apoptotic signals, and minimizing joint inflammation”. The draw towards this kind of orthopedic injury treatment is obvious; it is easy to get your hands on, safe, adaptable, and can be used by athletes. Although there are obvious benefits to this treatment, like less recovery time and no surgery, as with any new treatment there is a lack of long-term clinical justification. The PRP treatment is so new that there is a lack of uniform preparation, delivery, and dosing of the treatment. Because there are different ways that PRP can be prepared the final concentration of platelets can vary greatly. This means that the regenerative potential of the treatment also will be widely varied. Furthermore, there is no clinical consensus on the best way to prepare and deliver the treatment, which has caused much discussion on the true benefits of the treatment. Over 27 million people in the United States are affected by osteoarthritis. The condition accounts for over 50% of all non-steroidal, anti inflammatory drug prescriptions, and in 2011 was the second most expensive orthopedic condition seen in hospitals, totaling a staggering $15 billion dollars! Thus, it should come as no surprise that people began to look for other ways to treat such a widespread disease. After many studies, examined intra-articular PRP injections, as a treatment of osteoarthritis, there were varied outcomes. One study demonstrated that short-term clinical trials could not conclude that intra-articular PRP injections were a good alternative for combating osteoarthritis. However, another demonstrated that these PRP injections could benefit adult and younger patients with mild-to-moderate knee osteoarthritis. In conjunction, this study also stated that more long-term research was needed to determine the benefits of PRP. Thus, the benefits of PRP for osteoarthritis are slightly inconclusive. As with any other new treatment, PRP injections were first tested in the lab before brought to clinical trial. In these preclinical trials PRP did show some osteogenic (bone regeneration) properties in some in vitro studies. However, a clinical study conducted with 76 patients there was no bone healing found when using PRP lumbar fusion. Furthermore, the presence of thrombin in the PRP formula was shown to actually decrease bone formation. It can be concluded then that: the efficacy for bone formation due to PRP is inconclusive and needs more research. The very nature of an ACL tear dictates that the injury will have poor vascularity, and due to its intra-articular location it will be subject to synovial fluid proteases. In simpler terms, this means the environment for injury healing is extremely hostile. Thus, many studies have been done using MRI to determine if PRP augmentation can aid in the healing process. Data from the Multicenter Orthopaedic Outcomes Network (MOON) determined that the use of PRP in ACL allograft reconstruction made no difference in patient-reported outcomes after a 2-year follow up. The results were the same with those who did receive PRP treatment and those who did not. However, there was some success shown in a study that applied PRP directly to the patellar and tibial bone plug harvest sites after ACL surgery. Studies showed that direct PRP application to the patellar and tibial sites led to better knee function and decreased patellar tendon gap following ACL reconstruction. As an alternative to the more expensive orthopedic treatments, PRP or platelet-rich plasma has shown some promise. It has been mildly effective in treating osteoarthritis and ACL reconstruction healing, but showed less promise in fracture repair. However, in all cases it can be concluded that PRP as a widespread treatment needs more testing and desperately requires uniformity in development and delivery.